Backing up your valuable data is something as important as locking the door to your office at night, perhaps more. We are constantly surprised by small businesses that do not have a backup strategy in place. Often they will say they have a backup plan, but do not attend to it on a regular basis and it may or may not be working peoperly. "It was put in a couple of years ago and nobody really checks it" they will say. 1. 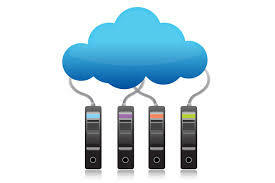 Have a dependable cloud back of all your critical data. This keeps a copy off site so that should the need arise, you can get everything back. 2. Have an on-site backup. With inexpensive larger, external hard drives available, it's a good idea to have a second or third backup option. When restoring select files from a local hard drive, it's usually a little faster than from the cloud, where you may have to log it and download data. If you have a project in mind, let us quote it for you. It costs nothing get a cost.